It was only a simple, routine assignment for private investigator Sam Blackman and his partner, Nakayla Robertson: follow a history professor, who is suing a spinal surgeon for malpractice, and catch her in physical activities that undercut her claim. As the first person to discover the dying woman, Sam becomes the prime suspect. Now the case is personal. An autopsy reveals painkillers in her blood and solid proof of the surgeon’s errors, and Sam is left with haunting questions: Why did this suffering woman endure the climb to the mountaintop? Did she stumble and fall or did someone cause her death? 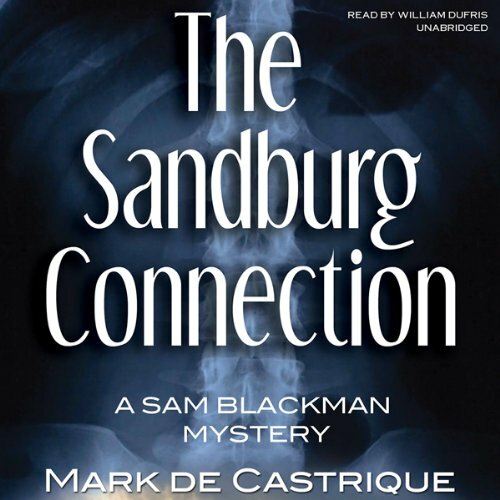 Then a breakin at the Wainwright farmhouse and the theft of Sandburg volumes convince Sam that someone is seeking information worth killing for. But what did Pulitzer Prize winner Sandburg have in his literary collection that could lead to multiple murders? And who will be targeted next? Sam and Nakayla must navigate a convoluted trail of historical facts and mountain legends to arrive at the truth—a truth that Carl Sandburg never knew he possessed—and a treasure to be had for a song. ©2011 Mark de Castrique (P)2011 Blackstone Audio, Inc.